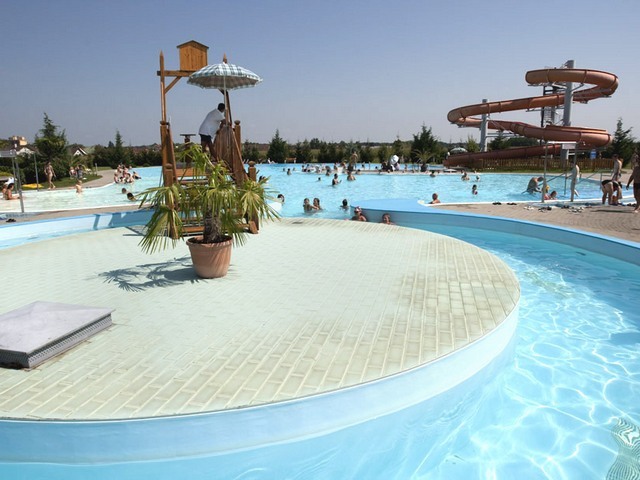 In the Lenti Thermal Bath 5 outdoor, 3 indoor /children’s, swimming, fun and medicinal/ pools and a partially covered hydro-massage pool, as well as an 8-hectare green area. 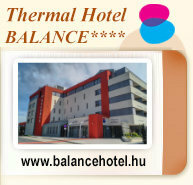 await visitors who wish to relax, recuperate and regenerate. The largest pool has an area of 1340 m2 with a wild water river, neck-massage, massage benches, and a 74m-long Anaconda fun-slide. In the 2500 m2 large indoor spa, apart from swimming, medicinal and wellness pools, saunas and steam cabins, we are looking forward to your coming with a medicinal department as well. The Lenti water, the 40000 year-old, sodium-hydrogen-carbonated thermal water is suitable for the treatment of cardiovascular problems, spine (neck, back, waist), lumbago, arthritis and joint erosion diseases (shoulder, elbow, hand, waist, knee, ankle). Additional medical treatments connected to the thermal water can be requested upon preliminary medical examination. 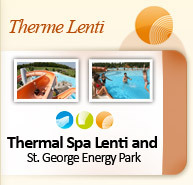 On the territory of Lenti Thermal Spa the Saint George Energy Park, which is unique in Europe, is situated at the meeting point of energy lines with beneficial effects. Here guests can find more efficient recreation, fulfillment, and healing due to the combined impact of the spa and this special energetic place. The types of Earth waves, i.e. Saint George lines, were called Dragon Currents in Eastern cultures. In ancient cultures, these types of Earth lines or “neural currents” were worshiped as saints. At the intersections of such lines, sacred places were built such as Stonehenge, Lourdes, Fatima, Machu Picchu, the Egyptian pyramids or churches in the Árpád era. Earth energy waves were discovered in Lenti Thermal Spa in 2002. Several intersection points can be found here, belonging to the Earth energy network. According to bio-energy nature therapeutic practitioners every disease proves to be the consequence of energy-lacking states. 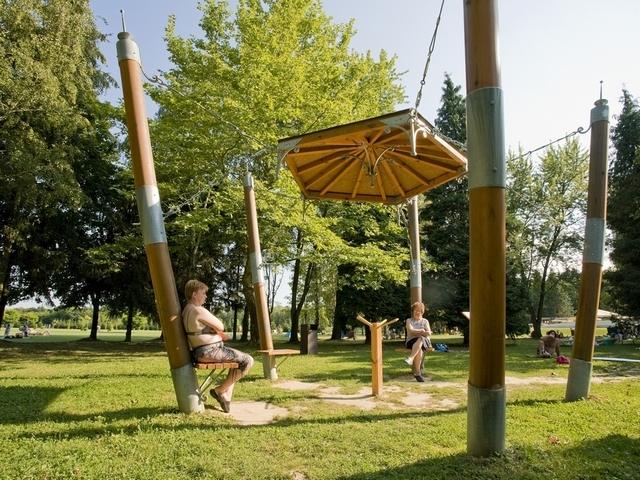 The energy waves in Energy Park restore the body’s energy balance. They affect the entire body and harmonize the flow of energy. They help the basic functioning of the human body and induce its self-healing processes, which restore physical and spiritual balance. It is worth spending a couple of hours in Saint George Energy Park. In the park, the stone pavements show the directions of Saint George lines, while the “posts” signify the intercept of these lines, where the energy waves are the most powerful. We suggest that you should spend 20-30 minutes at these posts. You may just relax, take a short walk or do a light workout. ebből az egyedi letöltés 46545 db.